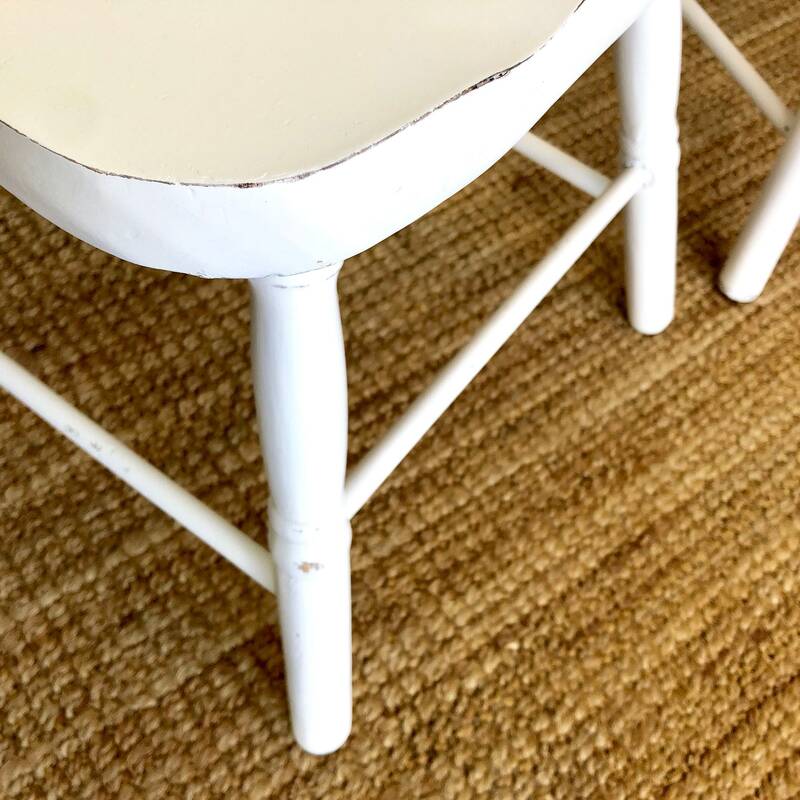 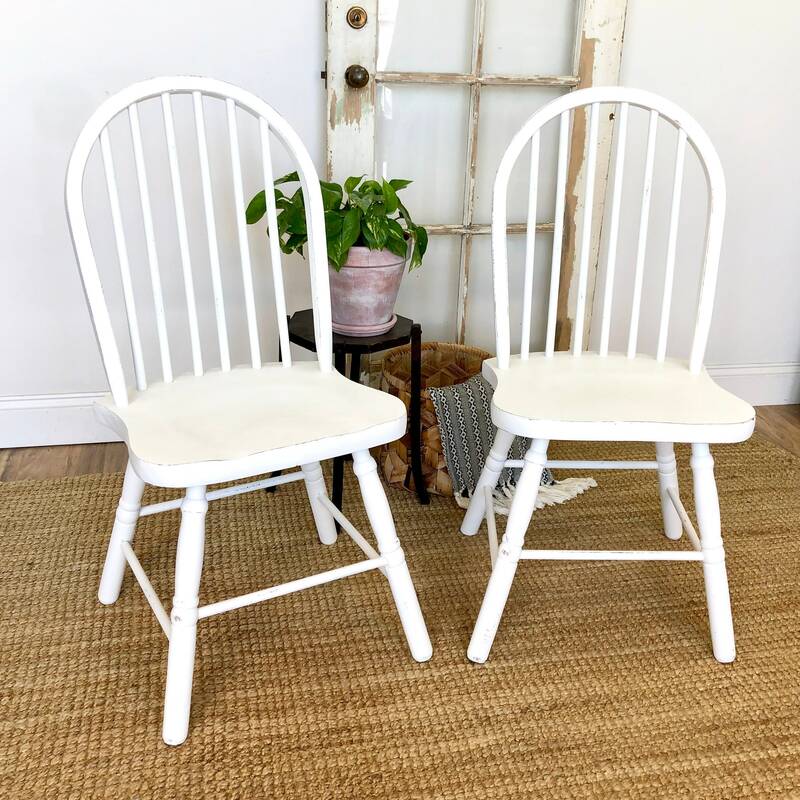 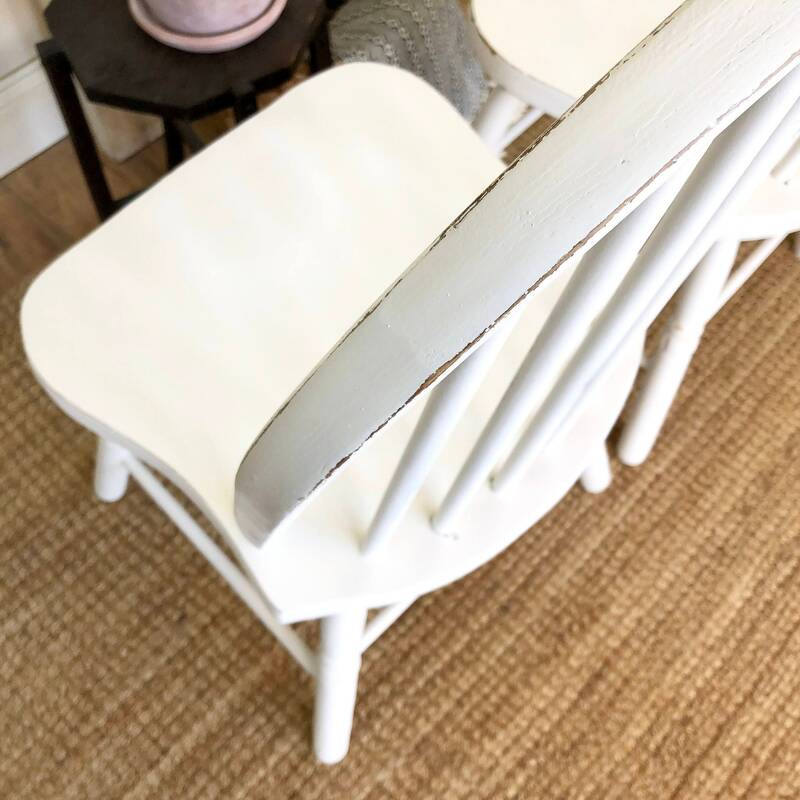 Let these white dining chairs enhance your kitchen or dining room table in your farmhouse or country cottage interior. 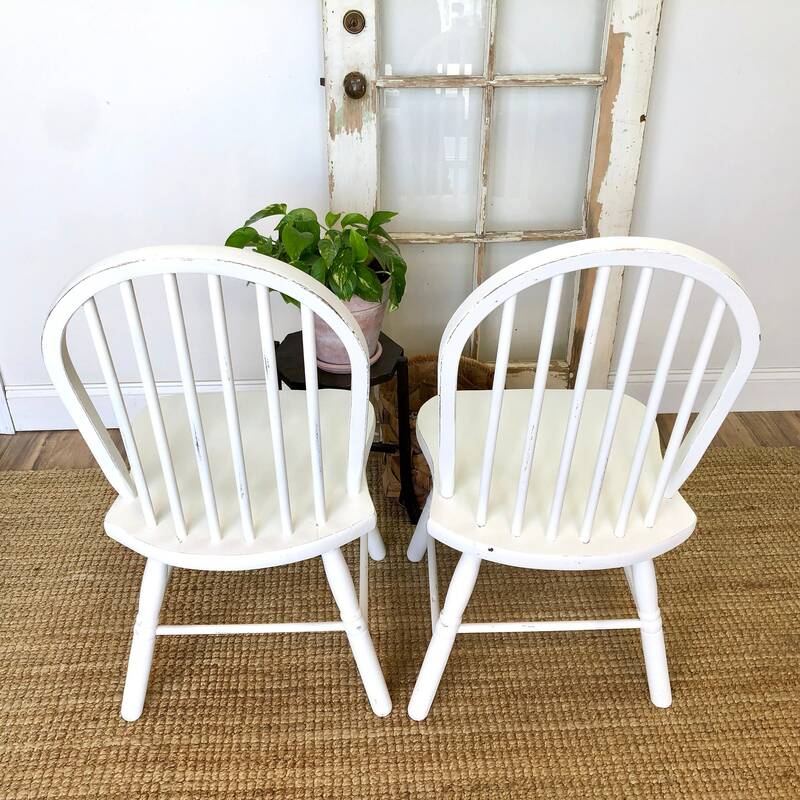 Perfect to pair or mix and match with other chairs or use as a set around a smaller table. 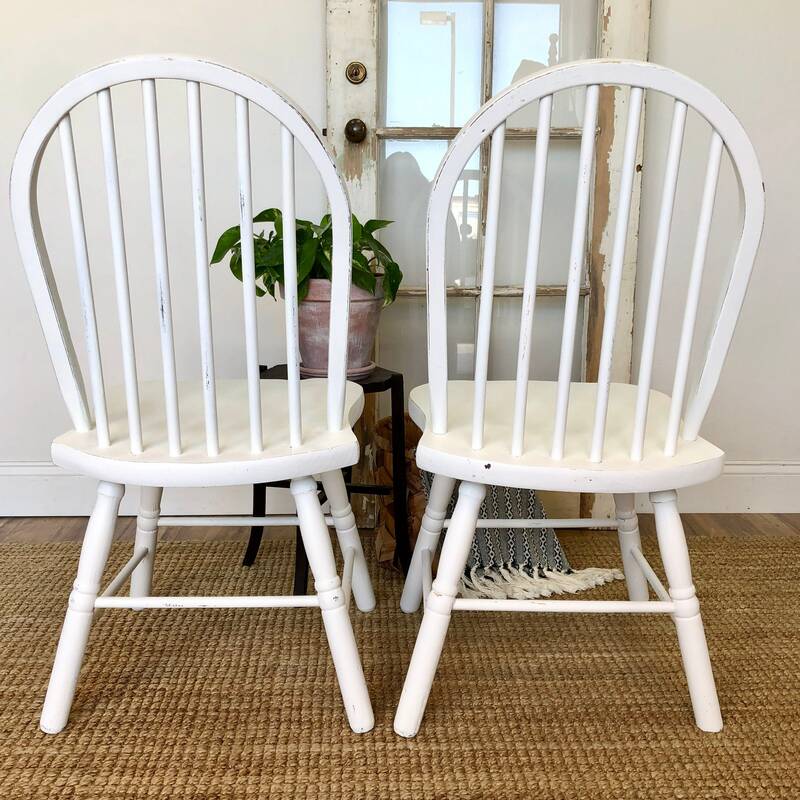 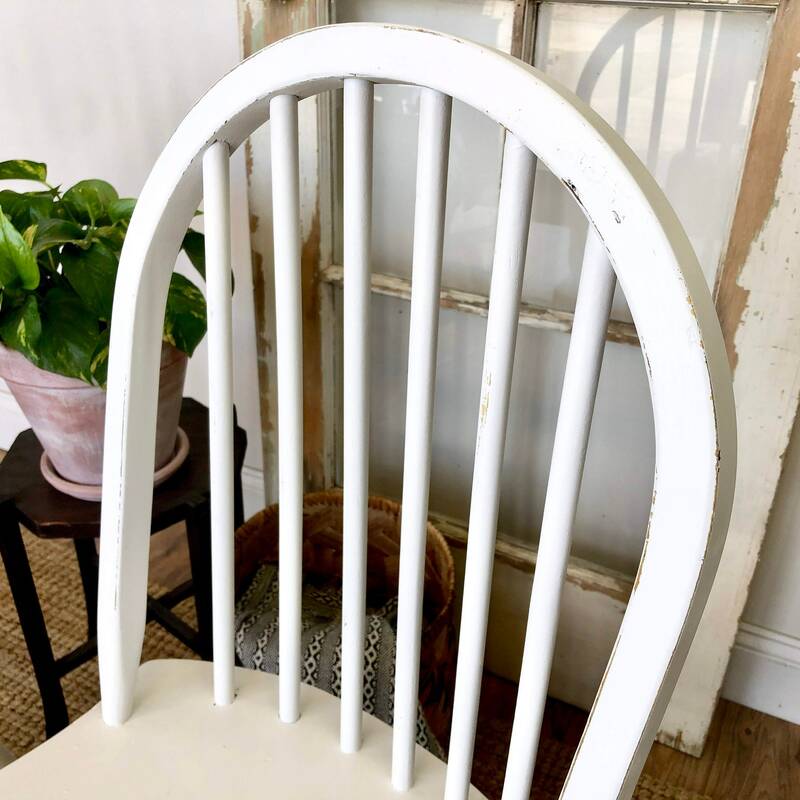 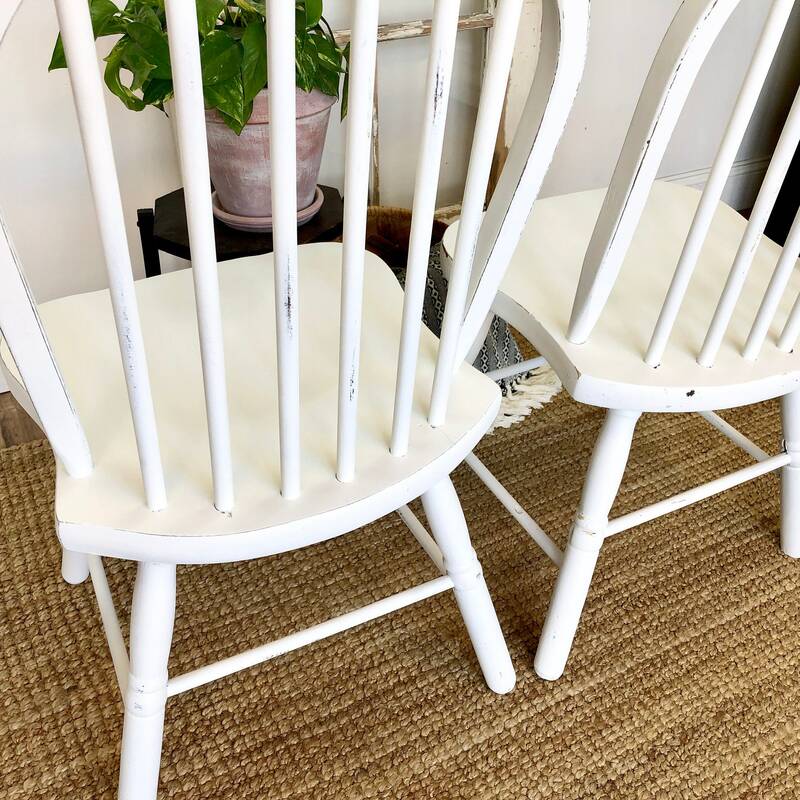 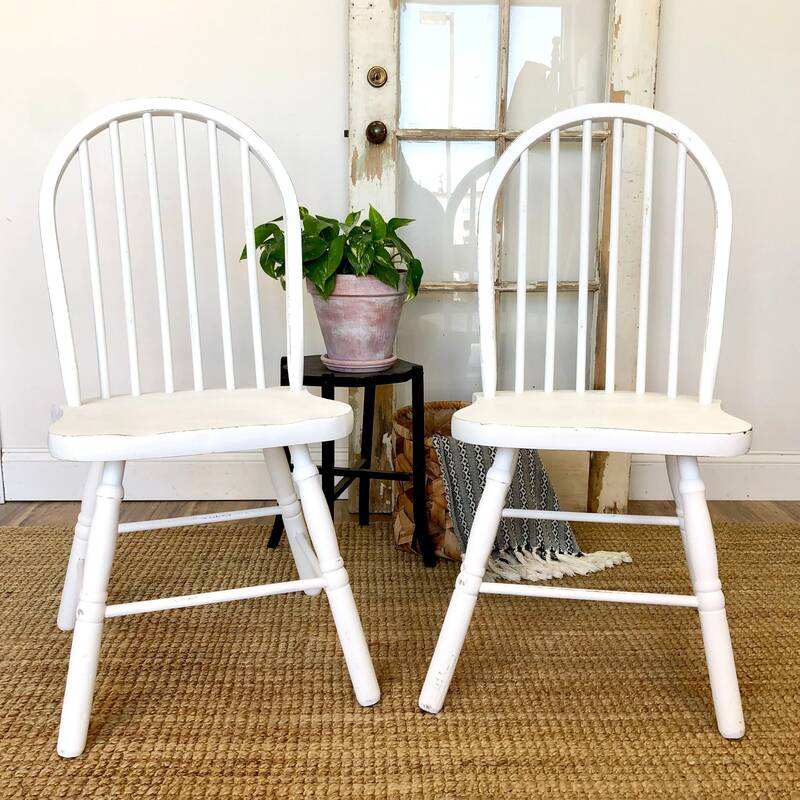 This set of two spindles back, Windsor chairs are super sturdy and built strong with solid Bennington Pine wood and will last another lifetime. 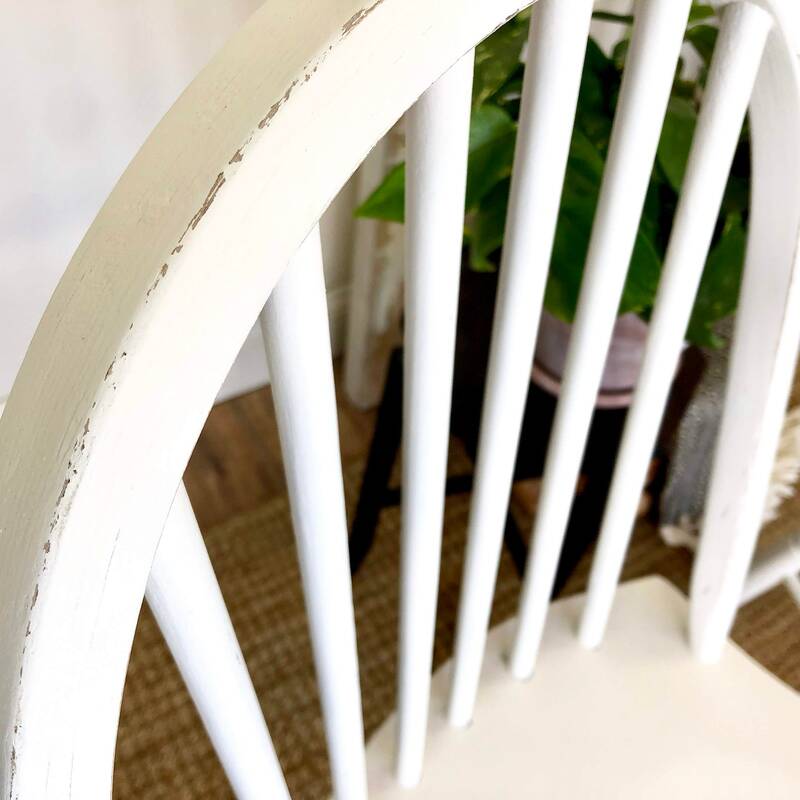 Hand-painted and distressed for a rustic farmhouse patina. 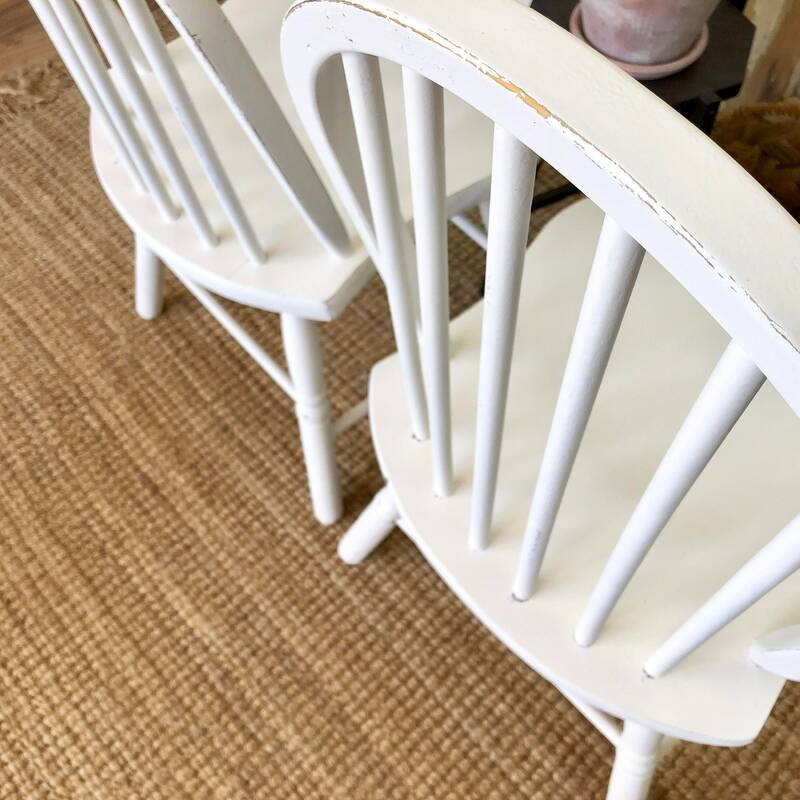 Some of the wood colors peek through in the distressed areas.